The small coves and natural beaches surrounded by rocky mountains covered by pine trees and other vegetation are characteristic of this coastline. The interior part of the province is made up of quiet mountain villages (skiing is popular in winter). 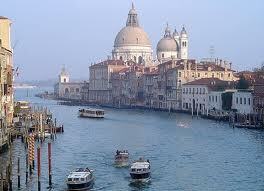 You can also visit Roman churches and monasteries of which there are hundreds. The ancient town of Gerona is the largest in Spain’s northern Catalonia region. Boasting a beautiful setting within a scenic valley midway between the sea and mountains, it is steeped in Spanish history with many fine Romanesque and Gothic buildings. With an excellent selection of museums and galleries it is the perfect holiday destination to explore the surrounding countryside and beautiful coastline. If it’s low cost flights to Gerona, Spain you’re after, look no further than Ryanair who operate direct flights from the UK. The winding streets and alleyways of Gerona are full of beautiful architecture. Take a walk along the path that surrounds the town’s ancient walls for some of the best views around and soak up the atmosphere of the local Spanish life. Check out the town’s cathedral with its amazing Gothic architecture and boasting the widest Gothic nave in Europe. In its museum you’ll find the magnificent Romanesque Tapestry of the Creation. Situated directly next to the cathedral, you’ll see the Museu d’Art, home to very special artworks from the Gerona region, ranging from Romanesque wooden carvings to 20th-century paintings. If you’re after some retail therapy, you’re sure to find what you want in Gerona. Wander through the bustling markets on a Tuesday or Saturday or sample some of the wide variety of shops in the historic centre of the town. 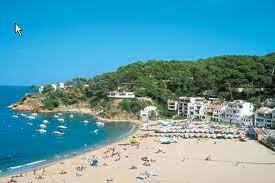 Nearby, the Costa Brava coastline offers some of the most beautiful beaches and coves. Equally, the attractive town of Figueres, the birthplace of Salvador Dali or the cosmopolitan city of Barcelona are two fantastic places within easy reach of Gerona that should not be missed. Find yourself a great deal on cheap flights to Gerona, Spain by using our excellent flights search engine here at Directflights.com. Search for some of the cheapest flights around as well as some great deals on lastminute flights. The weather in Gerona on average is mild. The average yearly temperature is 23 degrees Celsius, and an average year of rainfall is 749 mm. In winter be prepared for temperatures as low as freezing. During August the temperature can reach as high as 40 degrees Celsius, on extreme occasions, but it would rarely be higher than this. In February it has been known to dip a couple of degrees below 0, although the average temperature for this time is usually 10 degrees Celsius. On the whole the temperatures are more stable and there are lots of bright days with sunshine all year round. On the whole Girona has a mild climate, with plenty of sunny days and not too much rain. There are differences on the coast, which is a couple of degrees warmer, but has a cooling sea breeze. You'll also see differences in the Pyrenees mountains, as there is plenty of snow for skiing all year round.